The Australian federal government has been testing the nation’s sewage again in its continued effort to combat organised crime. The National Wastewater Drug Monitoring Program tests for levels of thirteen illicit and licit substances present in wastewater at treatment plants around the country. The program’s second annual report outlines that more cocaine continues to be used in Sydney than any other capital city. And as a Ten Eyewitness News report revealed last week, out of three Sydney treatment plants tested, one contained significantly higher traces of the drug. The levels of cocaine in the wastewater at Bondi Sewage Treatment Plant were six times the national average. The investigation reveals that the estimated 300,000 residents of Sydney’s eastern suburbs using cocaine on the weekends collectively consume 0.9 kilograms per day. In response to the use of the drug, NSW police has announced that it will now be expanding its mobile police drug testing NSW regime (MDT) to include cocaine. And trials of MDT cocaine testing will be rolled out in the wealthy eastern suburbs region by the end of the year. Currently, MDT only tests for three illicit substances: cannabis, MDMA and amphetamines. 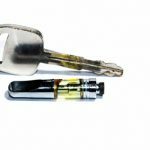 The program has been widely criticised for targeting specific parts of the community with its choice of which substances it tests for, as well as where the testing has been concentrated. 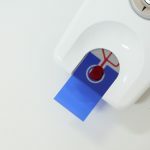 And despite the claims of the NSW government that this isn’t the case, the fact that mobile drug testing will now be used to target a specific population and focus upon a particular illicit substance seems to prove the point that it is. NSW Greens MLC David Shoebridge has long queried why police aren’t testing for cocaine. He believes it’s part of the Coalition government’s “class warfare,” as cocaine is a drug of choice of the rich, whilst those drugs currently being tested for are used by poorer and younger people. Mr Shoebridge took the issue up with then NSW roads minister Duncan Gay during question time in February last year. He asked why it wasn’t being tested for, especially as the Dräger unit devices used by police have the capacity to test for cocaine. But apparently, this isn’t the case anymore. On December 1 2015, the NSW government announced it was tripling its MDT operations to 97,000 tests a year by 2017. 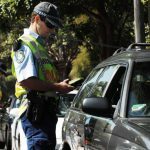 A NSW Bureau of Crime Statistics and Research (BOCSAR) report released in March, found the number of people charged with drug driving in NSW has increased by 320 percent. NSW police are targeting certain populations with their MDT operations the report reveals. The conviction rate in the Northern Rivers region is five times the state average. Its well-known this area around Richmond and Tweed has been the main focus of the roadside testing blitz over recent years. During the 24 month period ending in June last year, the report found that residents in Sydney’s less affluent south western suburbs were convicted at 12 times the rate of wealthier eastern suburbs residents. 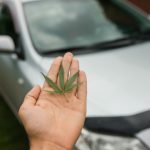 “All the evidence shows that the police target drug driving tests against those parts of the state that are less wealthy,” Mr Shoebridge told Sydney Criminal Lawyers®. The BOCSAR figures also show that young people are being targeted, as 72 percent of those convicted were aged between 18 and 39. 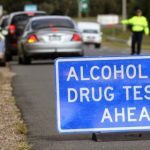 However, the Greens MLC stressed that “this does not change the fact that the entire regime is flawed and needs to test for impairment.” Unlike random breath testing devices that test for dangerous levels of alcohol in a person’s system, MDT devices only test for minute traces of drugs. While random breath testing has everything to do with trying to stop impaired drivers having accidents, mobile drug testing has nothing to do with that. It’s all about punishing people who take illicit substances. Lismore magistrate David Heilpern made a landmark decision in February 2016, when he found Joseph Carrall not guilty of drug driving, as it was shown that he hadn’t smoked any cannabis for nine days prior to being tested. 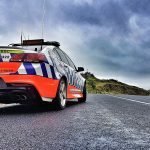 Lismore Court has recently been overwhelmed with cases of people who’ve been charged for driving with cannabis in their system. And those who are convicted can lose their licence for up to six months, which has a devastating effect on the lives of people living in regional areas. “MDTs should be testing for impairment, not merely the presence of drugs, so it’s time we moved towards testing for all drugs – legal and illegal – that impair drivers and actually ensure road safety,” Mr Shoebridge continued. 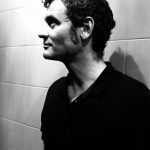 One of the key recommendation of the Australia 21 report was that current mobile drug testing practices be “rigorously reviewed,” as “the purpose of such testing should be to ascertain whether the driver is unsafe or unfit” to drive, not to show whether they’d consumed illegal drugs at an earlier stage. Significantly, the majority of those who produced the report were former senior law enforcement and law officials, including ex-police commissioners and heads of corrective services. With former top brass questioning the validity of mobile drug testing, it seems clear that an evidence-based program needs to be implemented that can save people’s lives, rather than continuing on with a regime that merely punishes targeted communities using drug war tactics.